The average price for this game in the past 6 months is $11.00. Lowest historic price was $10 on Jul 4, 2018 at Microsoft. The average price for this game in the past 6 months is $8.80. The game first became 50% off on Mar 9, 2016 at Green Man Gaming. Lowest historic price was $8.79 on Jun 26, 2018 at Green Man Gaming. GMG's 45% instant savings stacks with a 20% discount on Rocket League with a price drop to $8.79. New historic low price. Anytime you can pick up Rocket League for under $10 is a good bargain, in our opinion. Historic low was $9 so this isn't too far off in terms of dollar value. Usually $12 when on sale. New historic low price on the super fun Rocket League. Yeah super fun may seems spectacularly vague - so how about amazingly fun? If you're one of those odd balls that doesn't have Rocket League in your Steam library, you need to fix that mistake today. Rocket League ties its lowest price ever today at Green man Gaming. Now over 50% off with a drop under $10 for arguably the best Indie title of recent years. Major DLCs are also on sale for $1.91 each after coupon. Rocket League nearing the coveted half price mark with a drop to $10.79 in the Bundle Stars 2017 Summer Sale today. Only about a buck off its all-time low and the best price online from an authorized PC gaming retailer. Deal ends soon tomorrow night. The average price for this deal since released is $26.24. 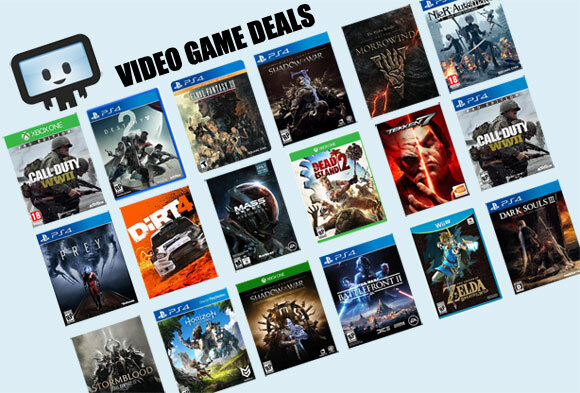 Lowest historic price was $19.99 on Nov 20, 2018 at GameFly. Awesome deal on Rocket League for the Nintendo Switch at $20. Sure the PC copy may be available for $10, but at $20 (with possibility of an additional 20% off via GCU) - this is a great price for a game that carries the Nintendo tax. Rocket League Collector's Edition on Nintendo Switch dropped from $40 to $29.53 today at Walmart. This Collector's edition includes the base game, Chaos Run DLC Pack, Supersonic Run DLC Pack, Revenge of the Battle-Cars DLC Pack, and Collector's Edition Limited Art Print. Rocket League Collector's Edition on the PS4 and Xbox One consoles dropped from $30 to $15 today at Best Buy. This Collector's edition includes the base game, Chaos Run DLC Pack, Supersonic Run DLC Pack, Revenge of the Battle-Cars DLC Pack, and Collector's Edition Limited Art Print. The average price for this game since released is $17.55. The game first became 50% off on Nov 22, 2017 at GameStop. Lowest historic price was $14.99 on Oct 7, 2018 at Best Buy. Rocket League Collector's Edition slashed from $30 to only $18 after a $12 off coupon at NewEgg. That's cheapest ever if you're a NewEgg Premier member (free 3 day shipping w/ it) but if you're just a regular joe you'll need to toss $3 at NewEgg for shipping making it a buck off its all-time low. The average price for this game since released is $18.29. Lowest historic price was $14.99 on Oct 7, 2018 at Best Buy. Rocket League is arriving on Xbox One and the pre-order of the Collector's Edition is already discounted to $20.43 at Walmart. Amazon now price matching. The average price for this game since released is $2.67. The game first became 50% off on Mar 9, 2016 at Green Man Gaming. Lowest historic price was $1.91 on Sep 8, 2017 at Green Man Gaming.